Roof Maxx is a very effective treatment that can give your roof 5 more years by restoring the flexibility to asphalt shingles that have become brittle. Due to changes in temperature and weather, roofs naturally expand and contract on a daily basis. Having the flexibility to do this is vital to the performance and longevity of your roof. Roof Maxx is a highly effective, scientifically formulated treatment derived from all-natural soybean oil. Through soy-fusion technology, millions of tiny little beads of oil can quickly penetrate and treat brittle asphalt shingles. This restores the flexibility to shingles so they can resume expanding and contracting. A Roof Maxx treatment is completely safe for humans, pets, and property because it is 100% environmentally friendly. The entire process can be typically done in an hour for a tiny fraction of what a new roof would cost. And the best part is that there is no mess left behind! When shingles age and their oils dry out, they become lighter in color. The organic oils contained in Roof Maxx restores those oils, sealing your shingles and causing them to become a bit darker in color. This is hardly noticeable by most people because it’s actually closer to the original shade of the shingles. During our roof tune up, we ensure that the most common failure points of a roof are functioning properly. The main failure points are rubber pipe flashings, exposed nails, and flashing details. 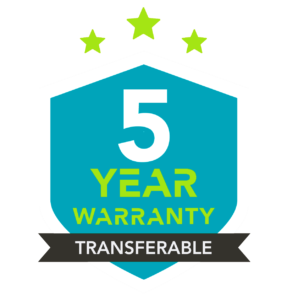 As trained and experienced roofing professionals, we will make sure every detail of your roof is ready for 5 more years.